In this episode of Thick & Thin I discuss the concept of being "too much," and the feelings associated with it, also touching on why we feel the need to water ourselves down for the comfort of others. I also tell a story about a woman named Sara Murphy, the rumored muse of Pablo Picasso, Ernest Hemingway & F. Scott Fitzgerald. All of this and MORE on tonight's episode! In Episode 13 of Thick & Thin I read a diary entry from college and answer listener questions! I also discuss the 'he's the full package but isn't that cute' dilemma and why we go back to our exes. In Episode 11 of Thick & Thin I discuss the question we often ask ourselves: "Am I settling or just being realistic?" College guys... thank u, next. In Episode 9 of Thick & Thin, I talk about some things I've learned in my 23 years on this planet as well as an epiphany that I had while analyzing my grey hairs. lol. In Episode 8 of Thick & Thin I discuss GHOSTING in full detail. I answer questions such as: why do people ghost us? What to do after being ghosted? and even-- why have I ghosted? In episode 7 of Thick & Thin I reflect a bit more on my move to NYC and how at times, we feel like we're anxiously waiting for our lives to 'begin.' I also answer some listener questions! Episode 4 of Thick & Thin dives into the truth behind my current life in NYC - is it all I imagined it'd be? Do I find myself wondering if I'm 'going backwards' in life? I debunk this as well as answer a bunch of listener questions! In episode two of Thick & Thin I talk about a bad habit I have-- convincing (and forcing) myself that I'm ready for things that I deep-down know that I'm NOT ready for. I force myself to date guys I know that I don't like- just because I feel like it's "about time." I also have a tendency of faking things -- telling guys I had a "great time" when I had by far the worst time ever.. LOL. I even talk about virginity and tell some cute lil stories. 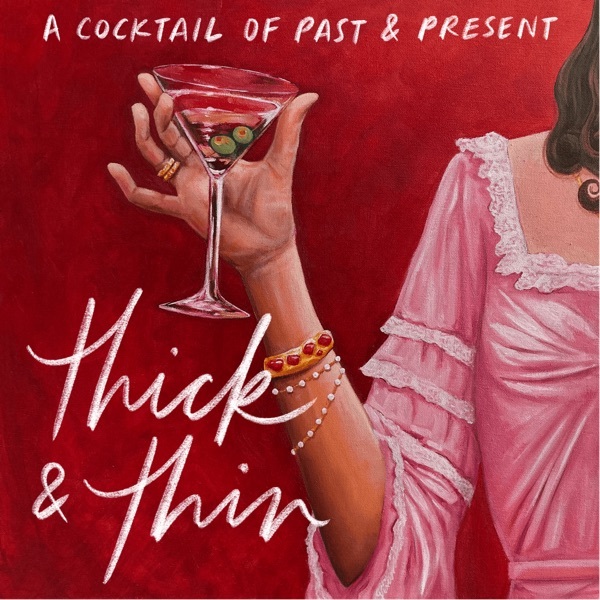 I'm Katy Bellotte and this is my very first podcast episode of Thick & Thin.